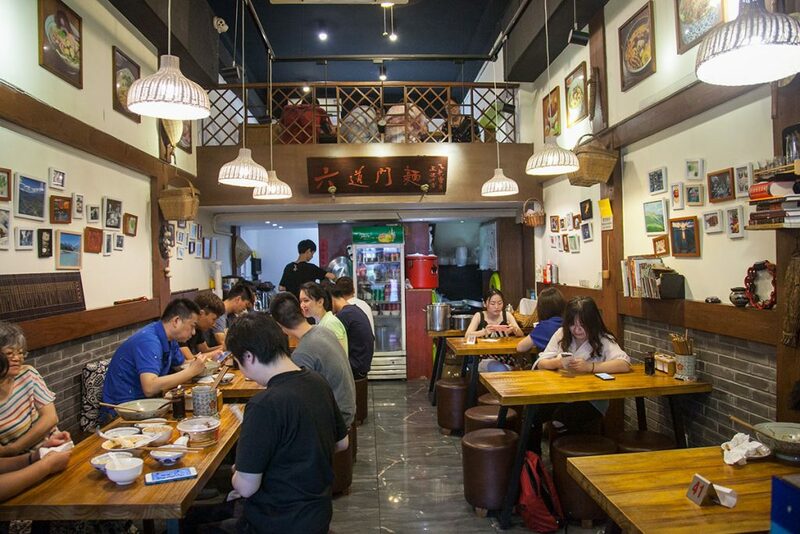 Liu Tang Men 六堂门 (previously known as Liu Dao Men 六道门) is one of the mainstays for Sichuan noodles in Shanghai. 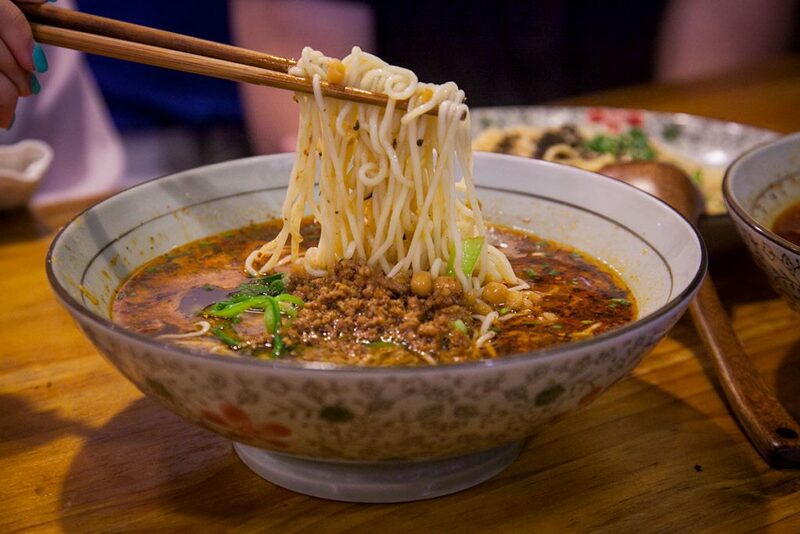 There’s a lot to love about this sensational little shop (also known as Chuan Noodles), from the friendly service to the freshly made chili oil and noodles. 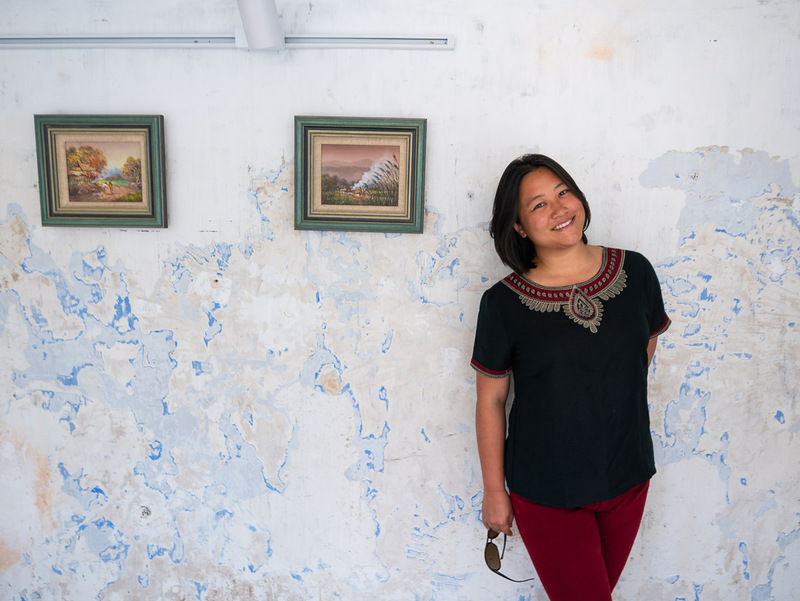 Non-Chinese speakers can also rest easy—the head wait staff is well versed in English. An older photo of the space. 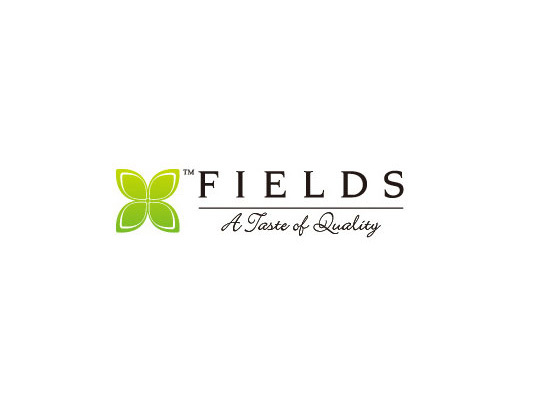 They’ve recently expanded! The sauce is absolutely addictive, and you’ll be tempted to dip the other noodles into it as well. 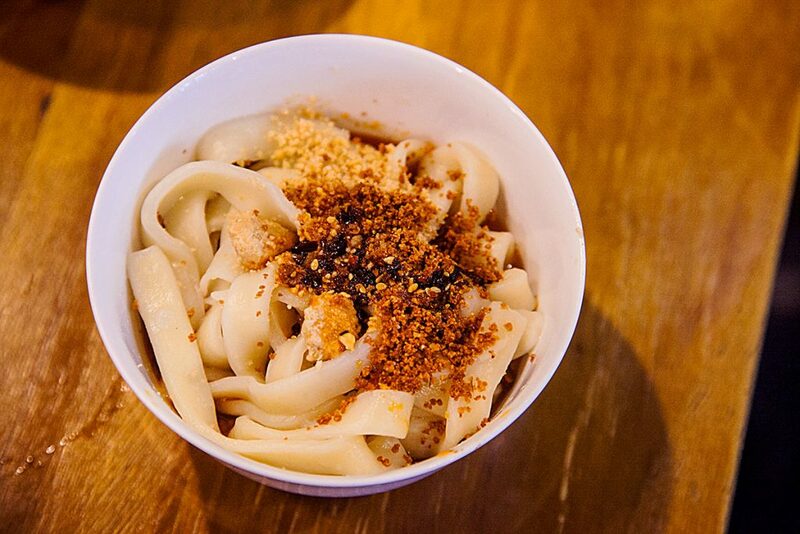 The tianshui mian is only available after 1:30pm. 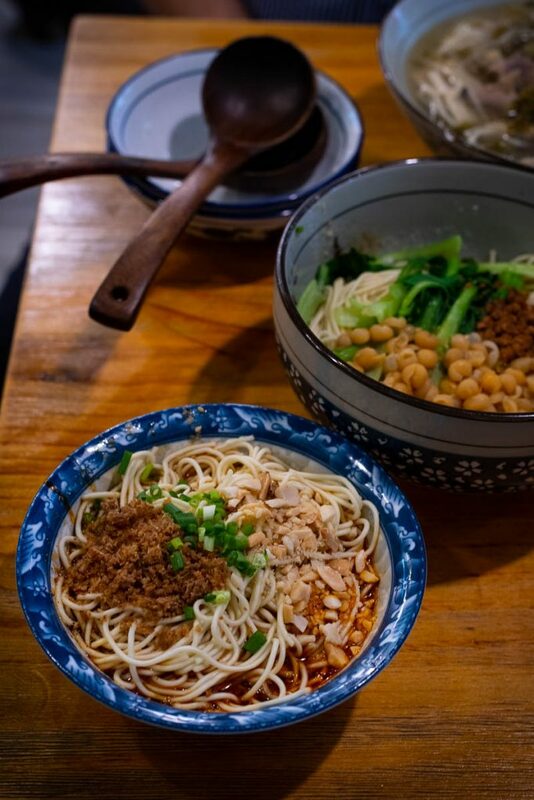 Don’t miss the dandan mian (¥19, 担担面), a bowl of springy noodles bathed in chili oil, topped with crumbly peanuts, chili crisp, and minced meat. 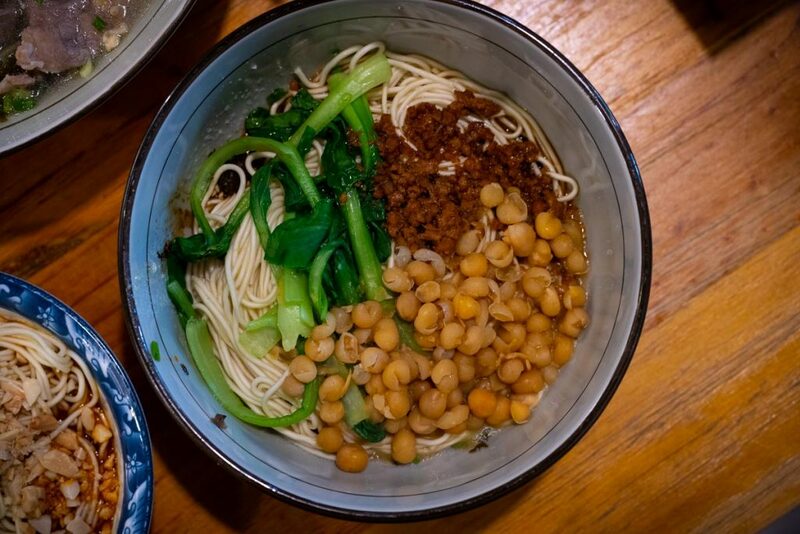 Another Sichuan specialty is the wanza mian (¥35, 碗杂面), which uses the same springy noodles as the dan dan mian, but topped with starchy cowpeas, minced pork and veg. Order dry or with soup (spicy). I’m a sucker for sour soups, and the suantang feiniu mian (¥45, 酸汤肥牛面) is one that certainly satisfies that craving. 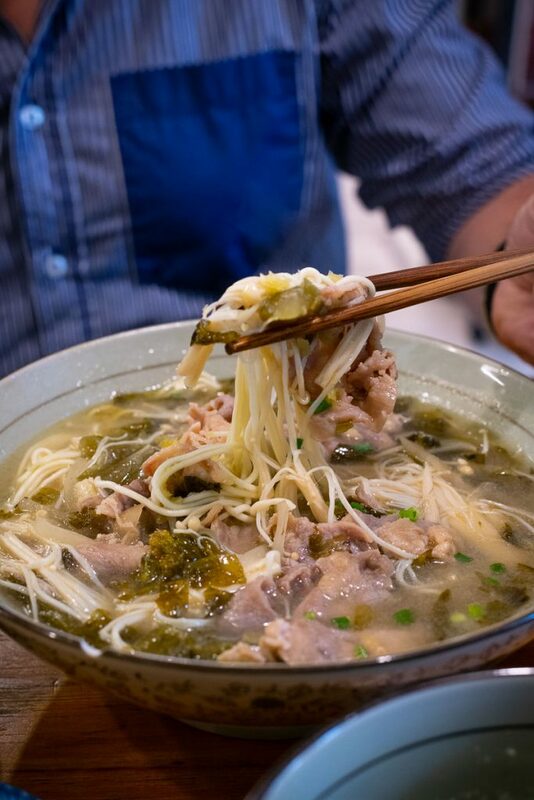 The soup is made sour by the pickled mustard greens and heat from chilies, plus thinly sliced fatty beef and golden needle mushrooms. They also do entrees like hong shao rou (braised pork belly), pork chops, more noodle variations, veg dishes, etc. Lunchtime is extremely busy, best to get there early or later in the day. I’ve ordered my fair share of Liu Tang Men through ele.me, one of the most popular Chinese delivery apps. Not bad! The noodles arrive piping hot, and I can’t tell the difference in consistency for delivery versus dining at the restaurant. 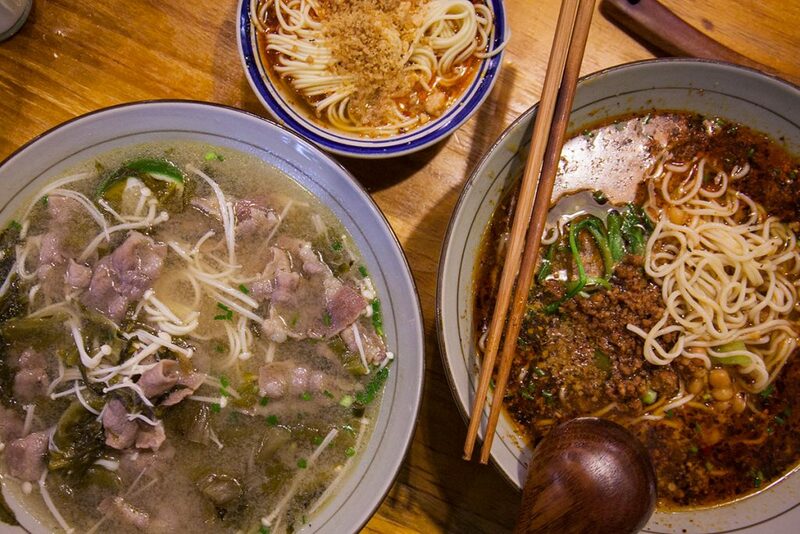 Sichuan noodles in Shanghai. Get it.